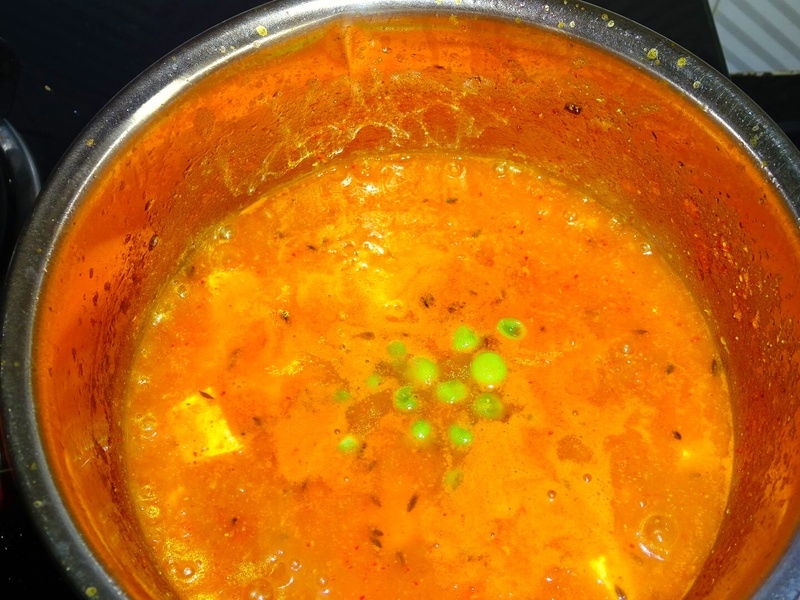 Matar Paneer is a very popular north Indian vegetarian dish which is very healthy, tasty and colorful combination of paneer, peas and tomatoes. 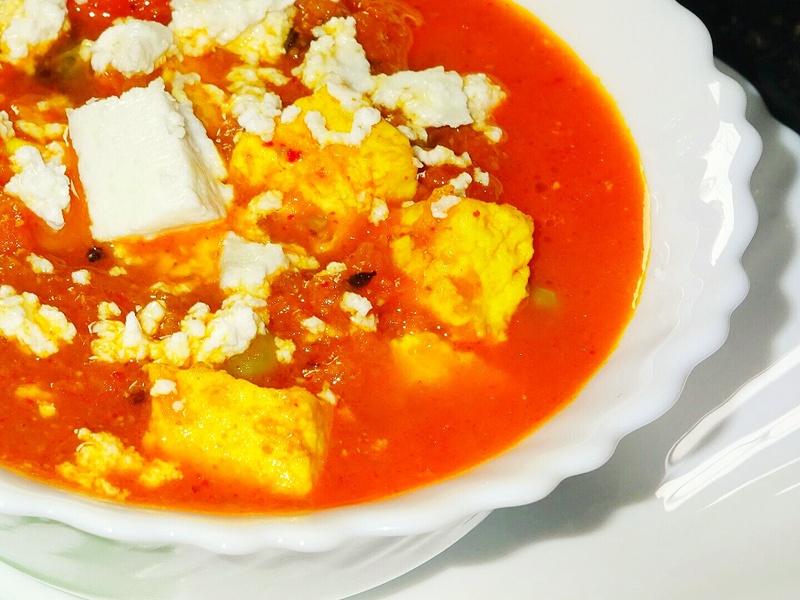 A simple yet irresistible dish of peas and cottage cheese, which cooked in tomato based gravy and spiced with garam masala. 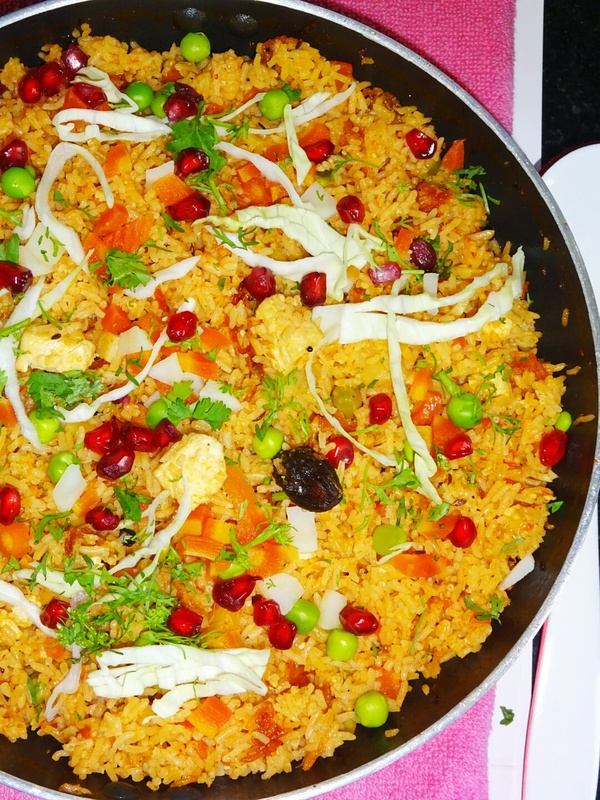 It is normally served with naan, roti, chapatti and paratha but can also be enjoyed with jeera rice. 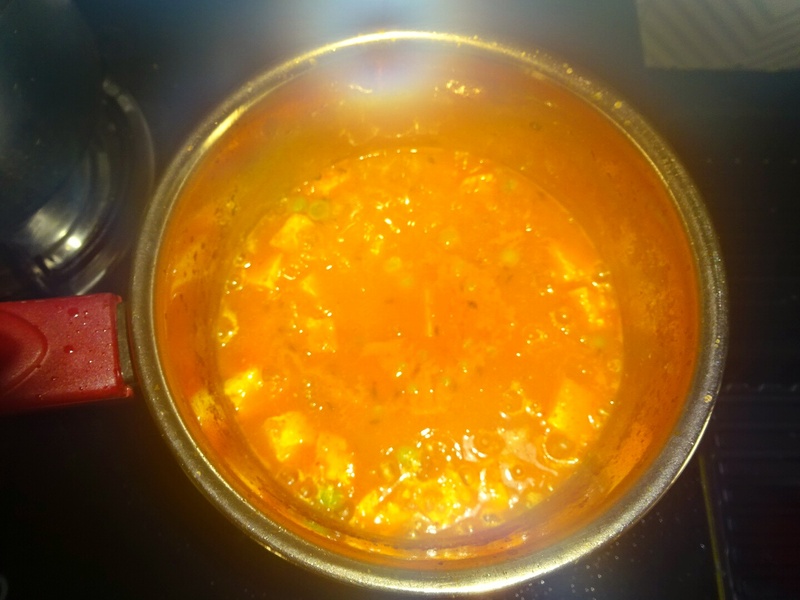 My today's recipe of matar paneer is no onion, no garlic recipe. 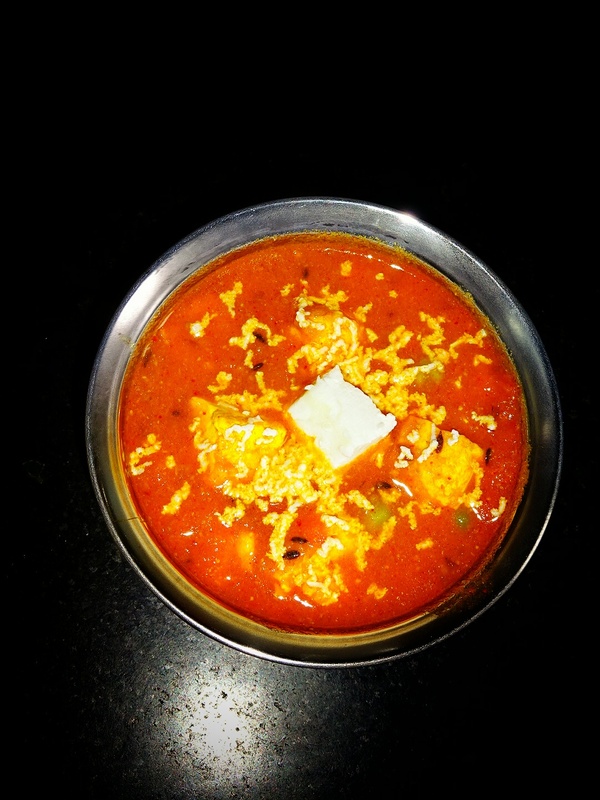 It is a super quick recipe as gets cooked within 7-10 minutes. 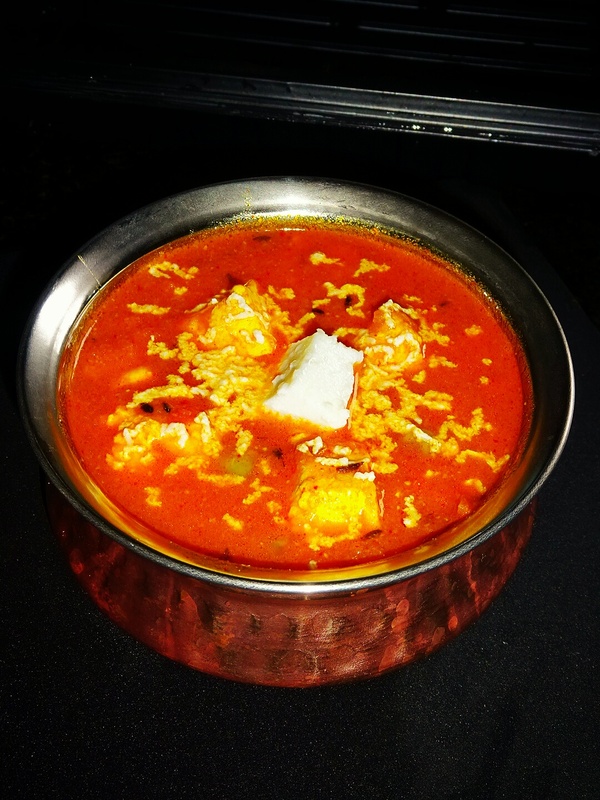 Paneer recipe's are all time favorite in our house, being vegetarian paneer is consumed regularly in our house. 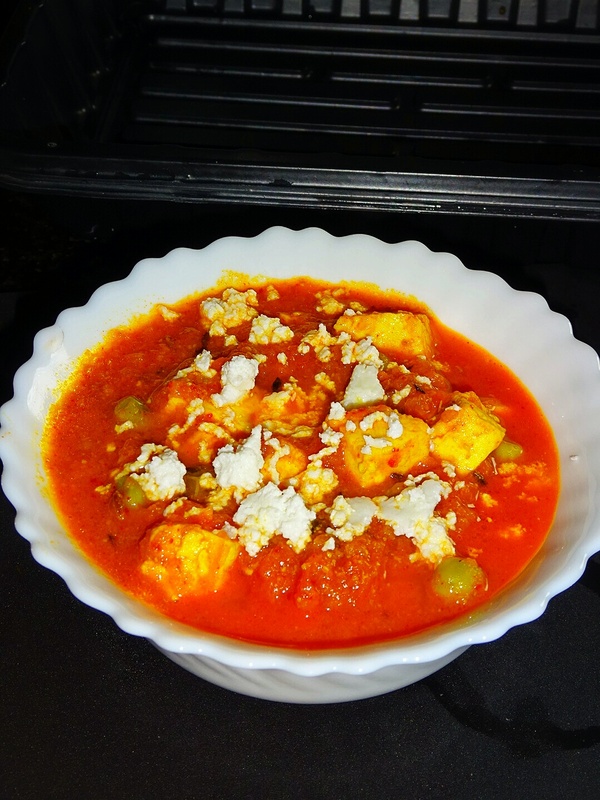 You can as well check out the other delicious recipes of paneer posted in this blog i.e. 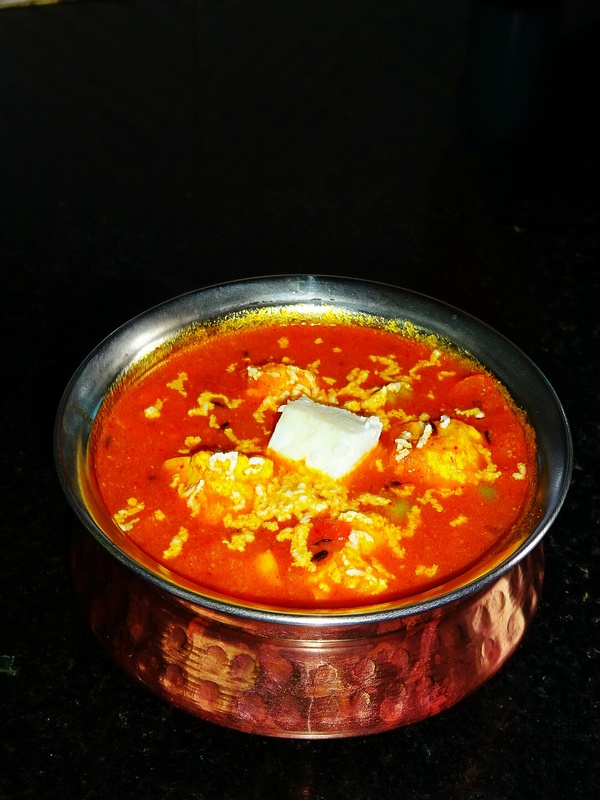 paneer butter masala, instant butter paneer, paneer capsicum do payaza, mutter paneer Bhurji, Palak paneer bhurji, instant butter paneer masala and paneer cheese butter masala dosa. 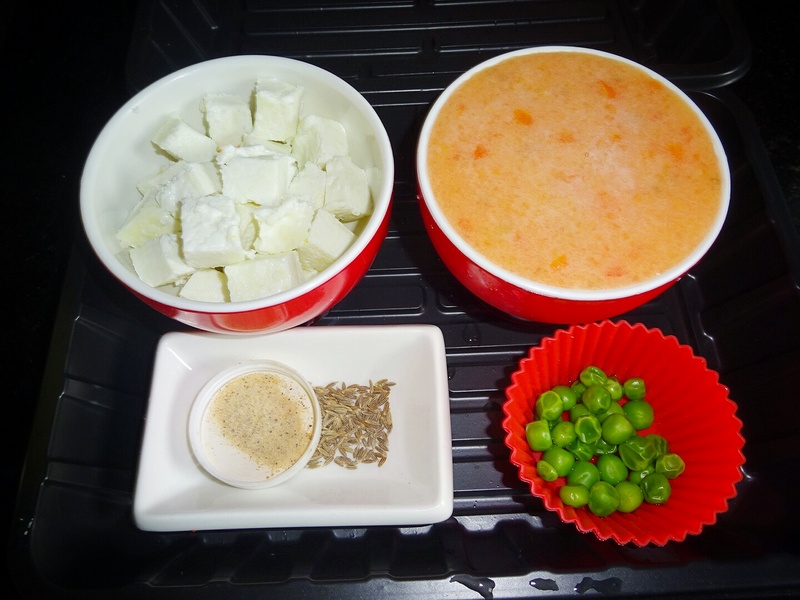 Let's start with step by step recipe of matar paneer. 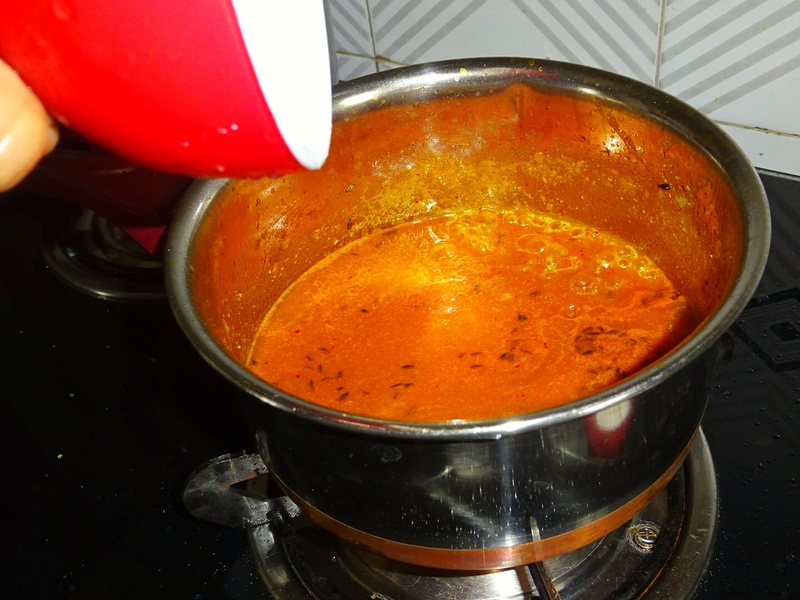 ◾Take tomatoes in blender, add ½ cup water and puree it. ◾Boil peas in sufficient water for 3-5 minutes. 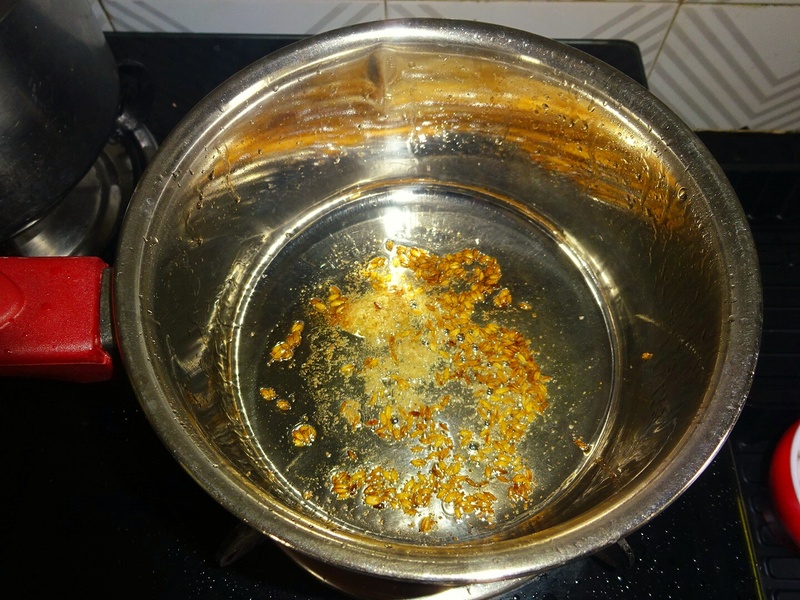 Immediately transfer peas in a colander, and keep under running water tap for 5 seconds. Keep aside until needed. 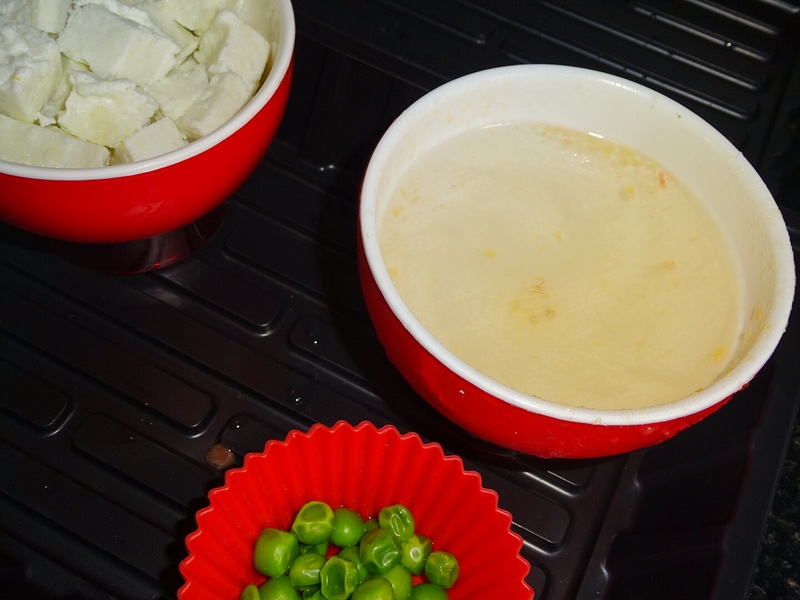 If using fresh peas then cook little longer until soft. 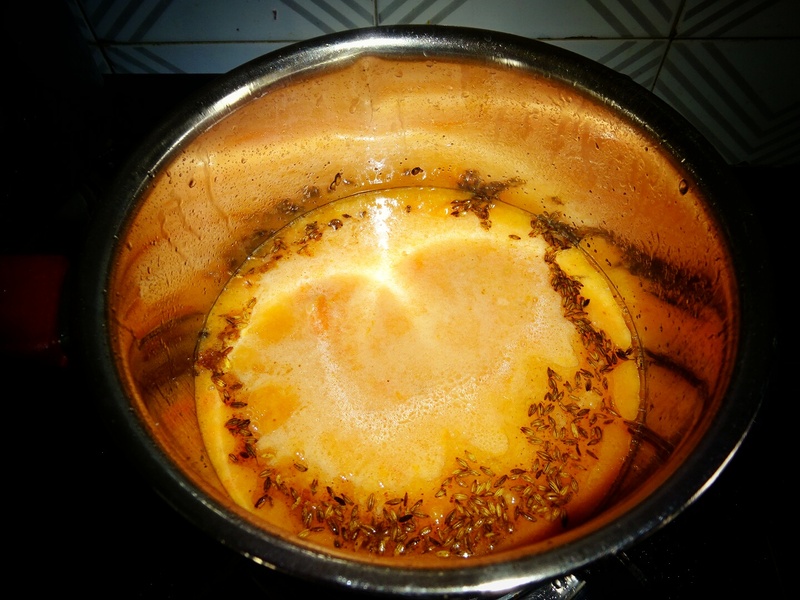 ◾Heat oil and add the cumin seeds, when it starts popping, add asafoetida, saute for 5 seconds. 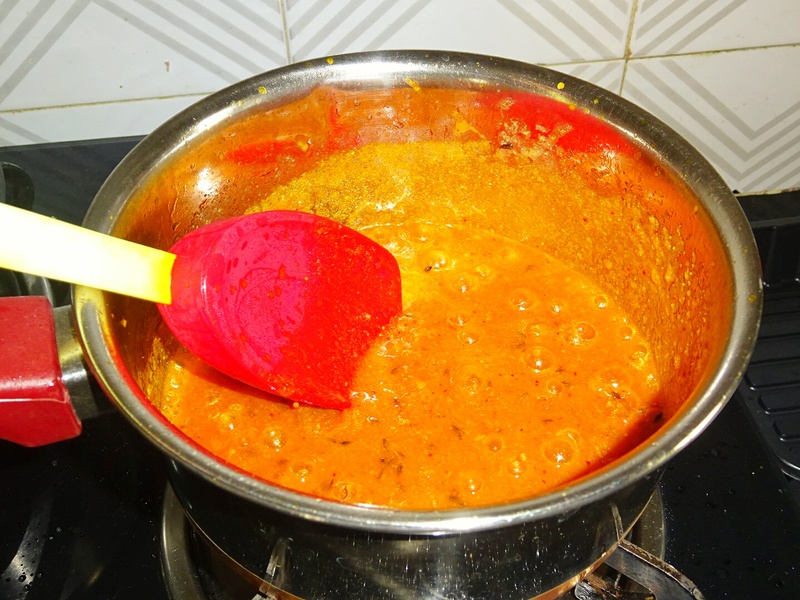 ◾Add tomato puree, saute till fat separates. ◾Add dry ingredients i.e. 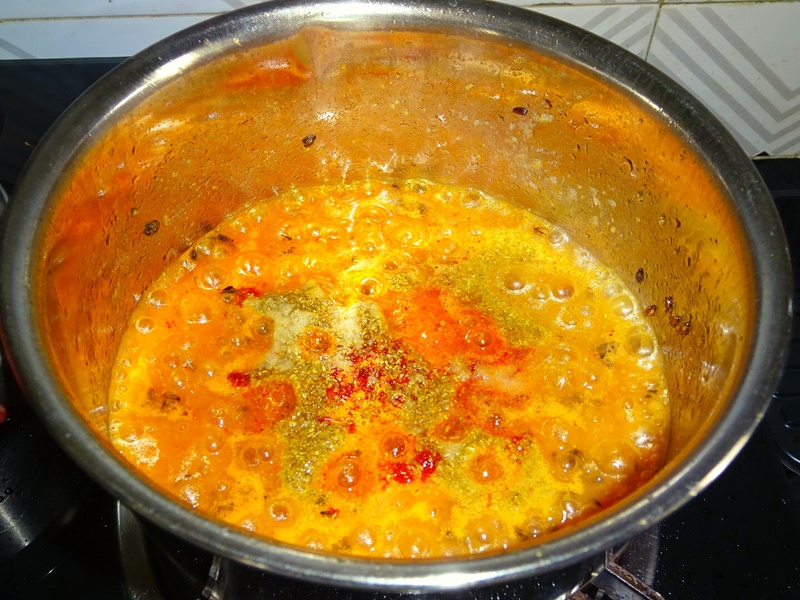 turmeric powder, coriander powder, red chilly powder and salt to taste and 1 cup water. 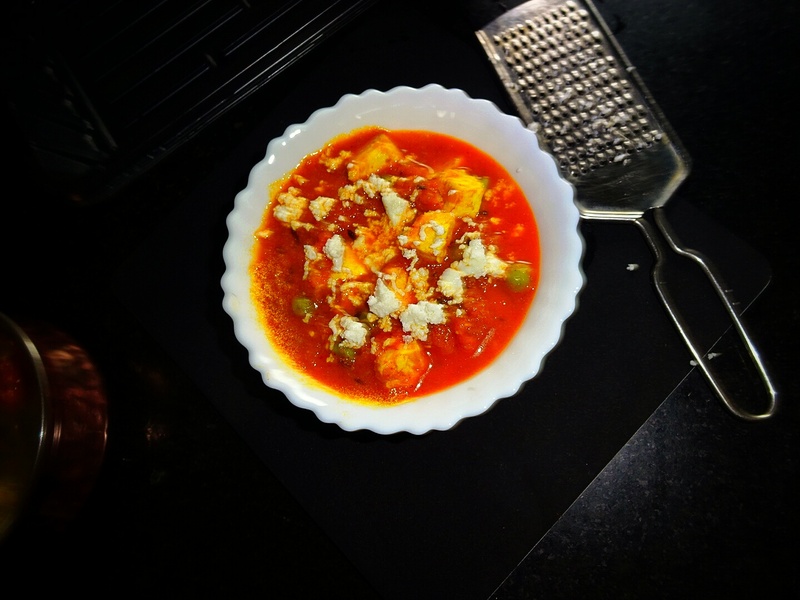 ◾Add paneer and mutter, mix well, simmer for 5-7 minutes till glossy. 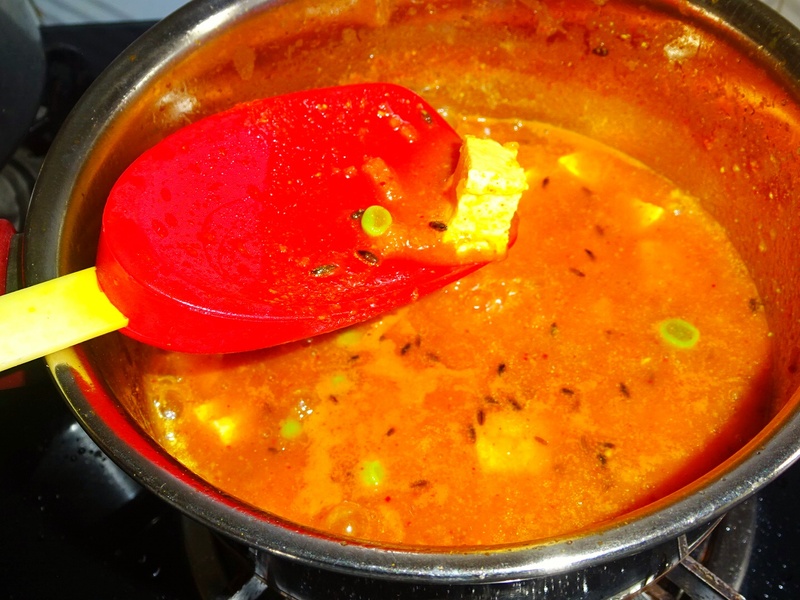 ◾Serve hot with Roti, Puri, Paratha or Naan, garnished with grated paneer and coriander leaves.